UPDATE: We have now recruited for this role, please keep an eye on the website for any future jobs. Thanks! We have an exciting opportunity for a well organised, motivated and personable individual to join our growing team, driving and delivering beer, packaging deliveries and pallets. 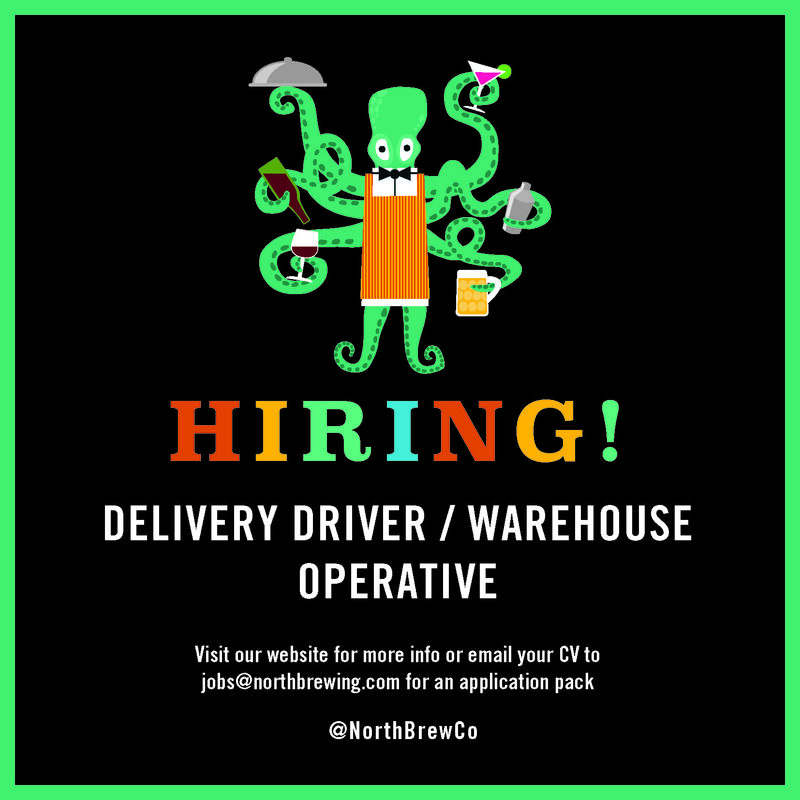 If you want to be a part of this thrilling journey and you have a sense of adventure, integrity, a hard work ethic and an uncompromising ethos when it comes to quality, email jobs@northbrewing.com with your CV and we’ll send you an application pack. Our customers are thirsty, so we want to fill this position ASAP. We’ll close the application window on Friday 29th September 2017, but if you blow us away with your application form before then we’ll get the ball rolling prior to this date, so don’t dilly dally!